Most people who cook end up having at least three or four different kinds of spatulas in their drawers. I personally have at least five. However, if I had to do it all over again, I would purchase only one, and that would be a flexible fish spatula. Flexible fish spatulas are long, exceptionally flat, and very bendy. 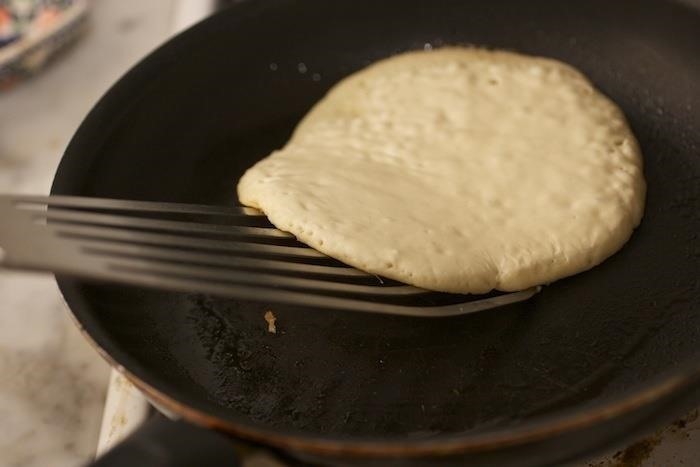 Many have a slight curve to the spatula so you can angle them under delicate foods. They were originally designed to be able to lift fish fillets, whole fish, and things like crab cakes off of very hot surfaces. 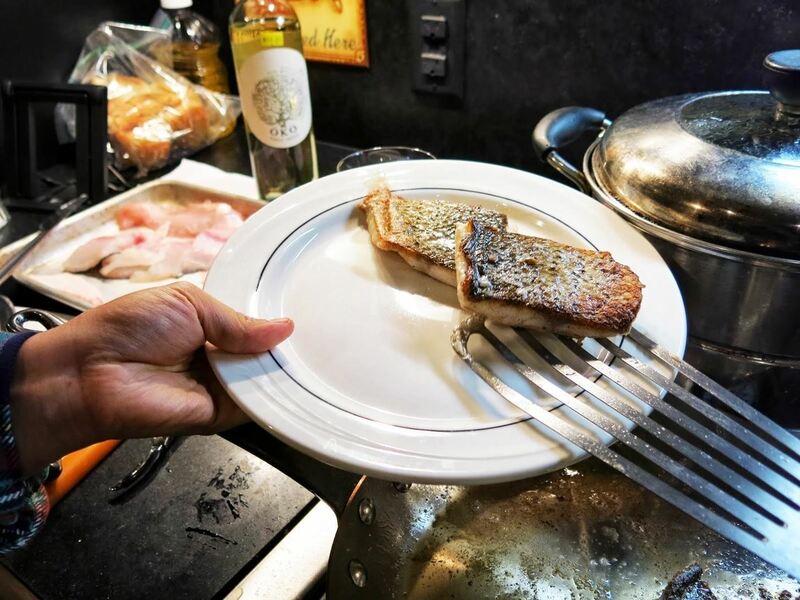 Since fish can break apart easily, this spatula's special design helped chefs get the fillet off the griddle and onto the plate in one piece. The wide slots let any excess oil or grease drain away easily. They're absolutely amazing at flipping over things like hash browns, pancakes, crispy fried eggs, chicken breasts—anything where you need to get that food off in one complete piece without breaking that perfectly browned surface. 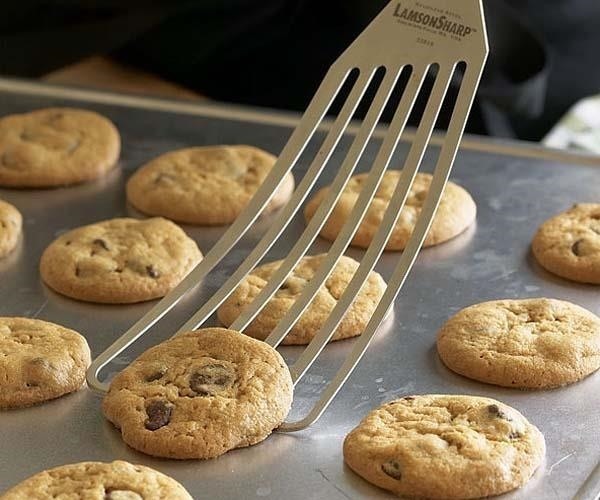 They're brilliant at getting cookies or other baked goods off the pan, too. Get a really well-made one, and you can lift even the heaviest of grilled cheeses or burgers with all their glorious crust intact. 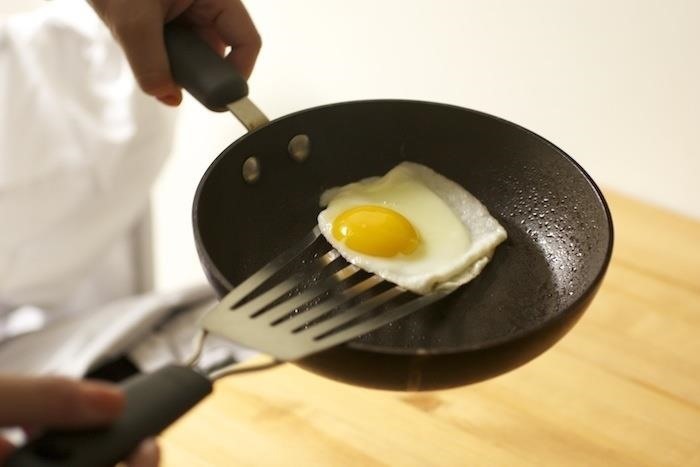 Unlike bulkier, heavier spatulas, they're easy to use with any kind of pan, from nonstick to stainless steel and even cast iron. You can maneuver them more easily so you're less likely to nick the surface. 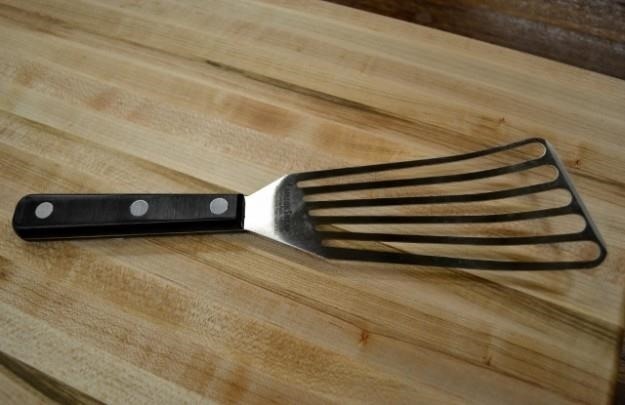 Fun fact: in Britain, a fish spatula is called a fish slice. Sometimes they look a little different from the American version, but the basic design principles (flexibility, flatness, ability to maneuver) remain the same. So if you know someone who's just outfitting her first kitchen or are looking to streamline your kitchen drawers, save yourself some trouble and just buy one really good (and reasonably priced) flexible fish spatula. This version by Mercer is beloved by the pros, but there are lots of other great options, including an OXO fish turner and one by Winco. However, if you've got a lot of nonstick cookware you want to keep nick-free, you might want to invest in this version with a silicone guard on the edge. Great tools can make or break a cook. It's time to start grilling on a Himalayan salt block and get the meat tenderizer pro chefs use. If you're a coffee lover, then learn how to brew the easiest, tastiest java in a Turkish ibrik.